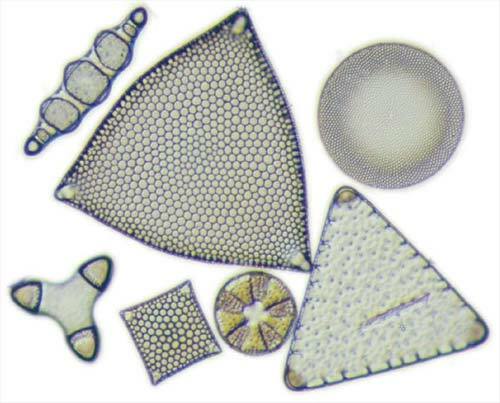 Diatoms are single-celled photosynthetic organisms. Their cell walls are composed of two interlocking silica halves. These sink to the ocean floor when diatoms die, becoming part of the sediment. As they stay preserved for millions of years, fossil diatoms are a valuable record of past oceanic environments.